WHAT: This transformative blend of nourishing oils vanishes into hair, leaving a smooth feathersoft feel and a trace of shine. WHO: All types (and colors) of hair. Coconut Oil, Argan Oil, Macadamia Nut Oil, Sweet Almond Oil, Safflower Seed Oil, Grapeseed Oil conditions, softens and adds shine. 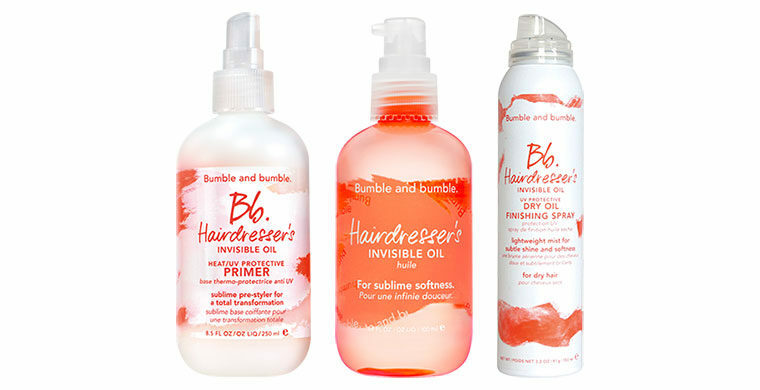 WHAT: This frizz-taming micromist gives dry hair an instant shine boost. It’s ultra-weightless, so go ahead, apply as much as you want. WHEN: Use as a finisher after styling, then store in your bag or desk for a radiance pick-me-up (because dry hair only gets drier during the day). HOW: Shake well. Hold 8 to 10 inches away from dry hair and spray evenly from mid-shafts to ends. Distribute evenly with a comb or fingers.